Since her early days playing in the school yard, Laura D was notorious for bringing her boom box with the juiciest new music. It’s no wonder this Cuban descendant’s mixtapes would go missing. Laura D’s musical tastes would always draw people to dance. Growing up on freestyle classics like “Running” by Information Society and “Get it Girl” by 2 Live Crew, Laura D was molded at an early age with nothing but the best: MIAMI BASS. Born and raised in Miami, FL, Laura D was instantly hooked on the 4×4-soaked break beats and electronic dance music. 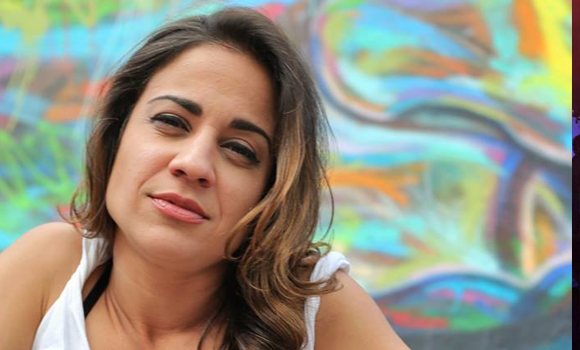 Two turntables later, Laura D quickly worked her way in the Miami scene. She was resident DJ on South Beach’s Club Jade and Downtown’s Players Club. Providing bass-infused sounds to the dance floor for over a decade, Laura D has embedded herself in the South Florida breaks scene. Laura D has developed a versatile sound, which includes everything from classic hip-hop to current dance floor hits. She’s opened for the major powerhouse sounds of DJ Icey and Baby Anne. Laura D worked with local hip-hop artist Andre Bush’s live band, as his DJ. She is also a founding member of the female community of DJs and producers Geishaz. Established in 2006, Geishaz has grown to include women performers from all over the world who provide musical entertainment to enthusiasts. Today, Laura D’s funky sounds move the dance floors with established promotion companies Culture Productions and icandee events. No matter what beats are served, Laura D is guaranteed to be creative and make you dance.